The SG43 machine gun was developed during the Second World War in the USSR. Until 1939 the Red Army had relied upon the proven, but cumbersome water-cooled Maxim gun as its standard machine gun. An attempt to issue a modern replacement failed when a new design, the DS39, proved unreliable. 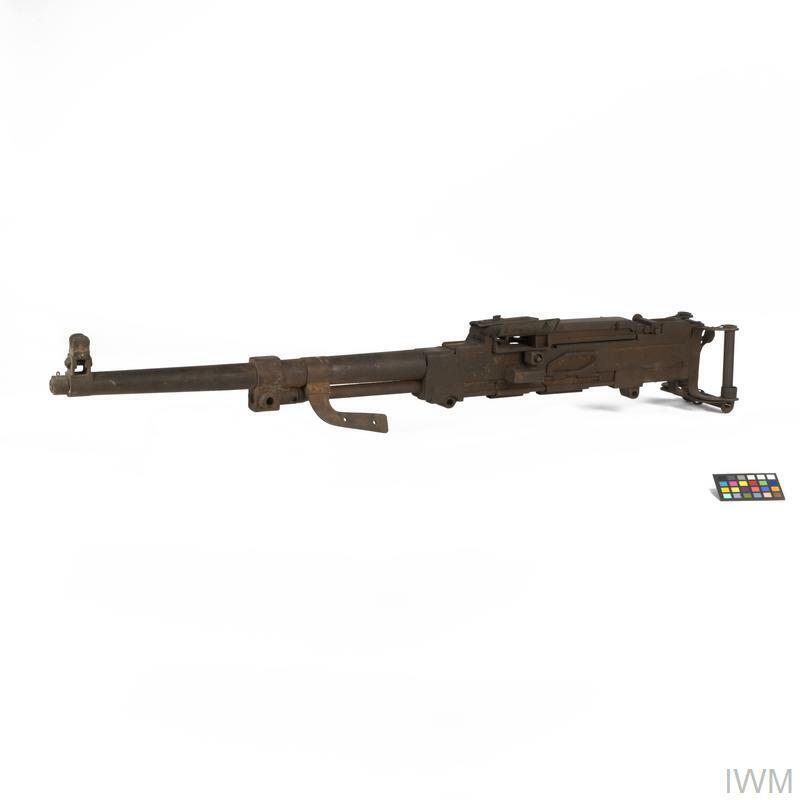 The coming of war made the need for a modern machine gun more urgent than ever and, in the spring of 1943 an improved DS39 was tested against an entirely new gun, designed by a team led by P M Goryunov. The Goryunov gun proved greatly more reliable than its competitor and was introduced into service as the SG43. 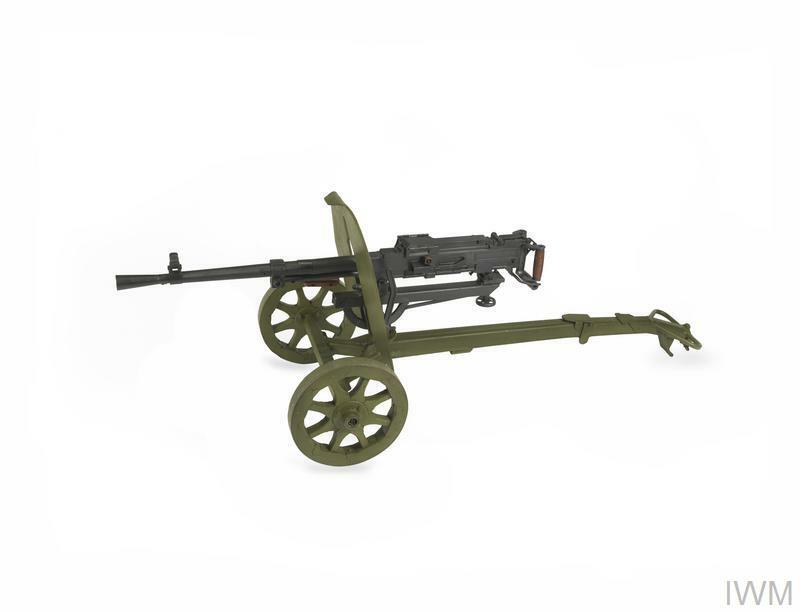 It was an air-cooled, gas-operated, belt-fed weapon, which was normally fired from a wheeled mount. Versions were also fitted in armoured vehicles. After 1945 many SG43s were exported to foreign countries. This example, which is in relic condition, was supplied to Egypt, and was recovered from one of the battlefields of the 1967 'Six Day War' with Israel.